Jerald Barrett takes us deeper into understanding foodservice assessments and how they can help improve your foodservice performance. What roles are most interested in foodservice assessments? Foodservice assessments include components that touch every area of the organization. To excel in foodservice requires a comprehensive foodservice strategy. No two projects are alike. 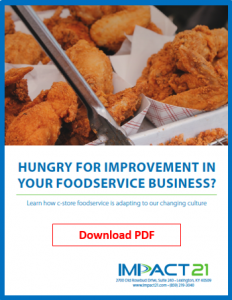 What is an average time frame to complete a foodservice assessment for a 100-store chain? Foodservice assessments can be completed in one to two months. This depends on the number of locations in the chain and the complexity of the foodservice program. Pre-visit: This is a key piece of discovery. It includes review of company financials, menu, operations manuals, branding, program documentation, standards, training, and metrics and sometimes initial interviews. Full Assessment: This is completed onsite and addresses each major component of the program. Analysis: Consultants analyze presentation of findings and then develop the roadmap. The roadmap will outline the steps needed to execute their foodservice program at a higher level of food safety, sales and gross profit. How disruptive are the foodservice assessments to daily operations? Will a client need to over-staff during training? In most engagements, clients to not need to add staff for a foodservice assessment. We are sensitive to the time constraints that team members face. We do interview key personnel in the corporate office as well as certain members of the operations team. Store level assessments require some interaction with staff. We avoid interfering with their duties as we want to observe the team in action. These assessments are scheduled and we may want a few minutes of time with the key leader. Is Impact 21 familiar with the health codes in our state or county? How can we be sure we will be compliant? All food codes are based on USDA and FDA guidelines which our team follows. There may be specific interpretations within a local jurisdiction. We do work with the operations team to understand any local guidelines as part of the discovery process. It is sometimes the case that these regulations deviate within the chain. When necessary, we do reach out to local regulatory bodies for their interpretation. Describe some of the details around the following items, and some specifics the assessment addresses. In all the following areas, we are looking for gaps in methodology, inconsistencies in procedures, processes and execution, lack of documentation and verification, and opportunities for improvement including training. In-store menus: Do the menus accurately reflect the offerings? Are they updated and how are preferences captured? Operating systems and processes: Are the systems comprehensive and do the stores follow them completely and consistently? And is the verification process in place and followed? Store workflows: Do the workflows accurately document the “what, when, why and how” along with an effective verification process? Food and employee safety practices and procedures: Are there issues that put the company at risk? Are any of the identified issues systemic, training related, or location specific? Is the compliance and verification in place? Customer moments of truth: How are the stores performing in the key areas of customer interactions? Reporting and accountability: Are the results and verifications accurately captured? What opportunities exist to streamline these? 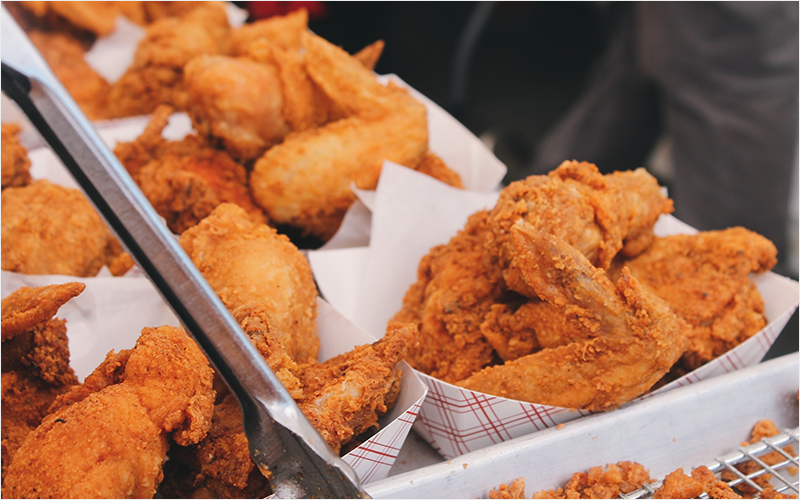 What are 3 major areas of foodservice that C-Stores sometimes overlook, or even get wrong? The vital understanding that maximizing success in foodservice requires a comprehensive strategy and a commitment to becoming a foodservice organization. Foodservice is not always fully integrated into store operations and is treated as a separate entity. Therefore, there are operational disconnects where safety and operating standards are not understood and lose their urgency. The absolute critical need for item level inventory within foodservice as a management tool. This is not just for accounting purposes. It is to make the categories more productive and improve margins. What answer do you have for a chain that feels its challenges are different from other chains, and therefore can’t implement our assessment? Our approach is unique for every retailer and is designed to address their specific challenges. What we do is look at fundamentals, industry best practices, the challenges the chain shares with us and the desired results of the company. We then conduct the assessment to identify gaps, opportunities, root causes and a roadmap specific to the company. How can a client be sure the recommended roadmap will not interfere with existing store operations? Programs and initiatives often compete with one another for resources and prioritization. We can hold a competing priorities workshop after roadmap delivery. This provides opportunity to fully explore competing priorities. Workflows are an integral component of any operation to ensure that all components of operations including foodservice work in concert with one another. How does the Company learn about customer perceptions? Surveys? Interviews? Surveys and interviews are both types of customer intercepts that serve a useful role. Buying patterns also provide useful insight as do customer moments of truth evaluation. In this evaluation, critical customer interactions (moments of truth) are assessed to understand how the operations are executing and delivering during these moments. These tools help paint the pictured of perceptions consumers may have and identify opportunities for improvement. From there a root cause analysis can be conducted to identify what gap exists or solution developed to address the identified opportunities.